This is the third post in a series of posts covering a wide spectrum of free resources on different subject areas. After reviewing Social Studies and Science resources , today we are providing you with a list of some of the best free Math websites where you can have access to a plethora of Math lesson plans, free printables, games, activities, video tutorials and many more. This is a website that provides a wide variety of math drill worksheets. Teachers can also make their own worksheet using simple tools. Plus magazine ones a door to the world of maths, with all its beauty and applications, by providing articles from the the top mathematicians and science writers on different topics. The Simpons. 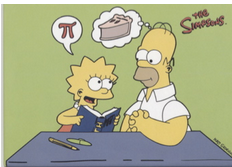 the popular sitcom, contains over a hundred instances of mathematics ranging from arithmetics to geometry to calculus, many designed to expose and poke fun at innumeracy.